Let me introduce you to an AWESOME TOOTHBURSH! This would be the PERFECT last minute Gift for Anyone! 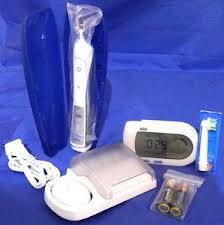 This is one GREAT toothbrush. ! I have been using this toothbrush for over 2 weeks now and I LOVE IT! 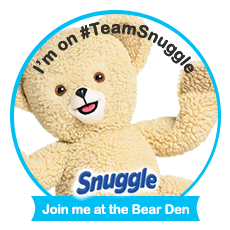 Its so easy to use and I feel like my mouth is fresh, my teeth have never felt better! I set aside the toothbrush you normally use and instead use the Oral-B Professional Precision 5000 two times a day following the product instructions for two weeks. My current toothbrush is a regular toothbrush no frills just a cheapo. The current state of my teeth now are just amazing, they feel wonderful! What I like most about the toothbrush is that now my kids are asking for one because how clean it has made my teeth! 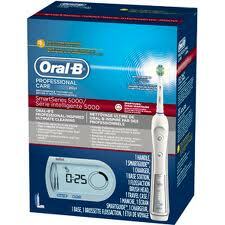 Oral B At this time there is a $15 mail in Rebate offer!